What Event Will Go! The Eddie, Jaws, Mavericks, Nelscot Reef? 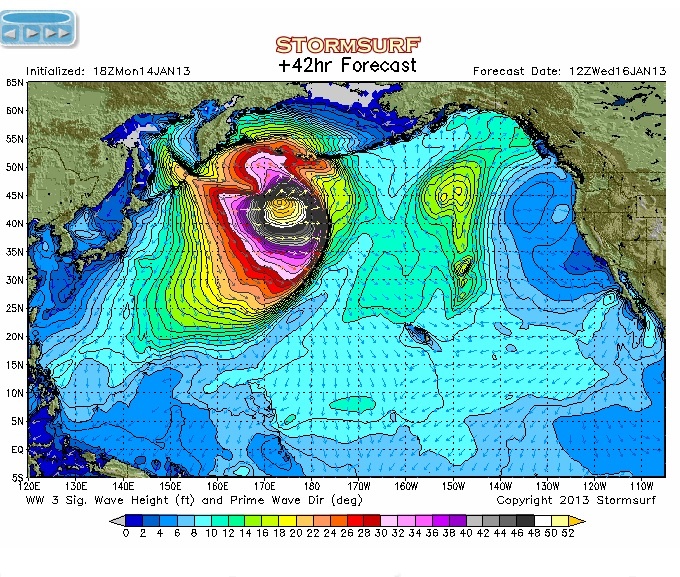 A very large swell generated off of Japan is sending a very big long period swell in the North Pacific. 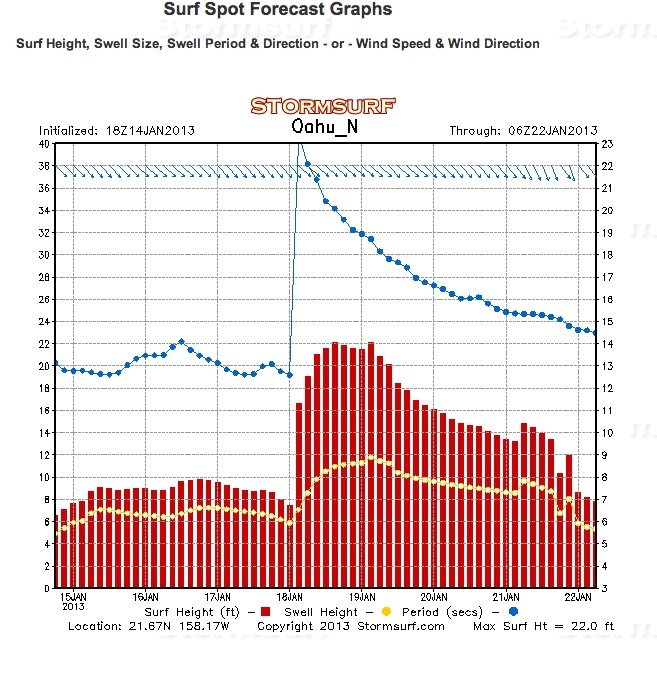 Hawaii and Northern California should see very solid conditions by the weekend. 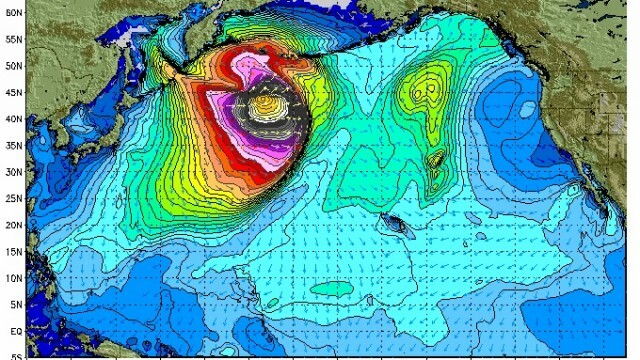 The question is what big wave event will go? The Eddie, Jaws, Mavericks or Nelscot Reef? We will see as the system develops but plan for good surf this weekend along the California coast and Hawaii. Notice how the period is off the chart. literally! !